Find Longmont, CO Condos for sale. View Photos, Maps and MLS Data Now! Quail Crossing - 1 car detached garage plus 1 assigned parking space Great access to central Longmont, I-25 and Boulder. Walk to Union Reservoi MLS#3544384. Keller Williams 1st Realty. You must see the incredibly realistic fly through tour at www.longspeaktownhomes.com Loaded with upgrades at the list price! MLS#2752245. HomeSmart Realty Group of Colorado. Huge windows everywhere with complete privacy, 2 car garage, community pool and garden MLS#9769519. The Colorado Real Estate Group LLC. 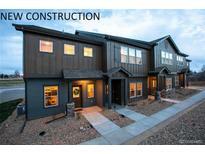 Creekside - Please call 970-528-0352 for additional information. MLS#2472481. The Group Inc - Horsetooth. Easy commute to HWY66 & HWY119, I-25, Schools, Trails, New Hospital & Union Reservoir! MLS#8690982. WK Real Estate. You will love miles of community trails leading you through the Ute Creek Golf Course and neighborhood parks. MLS#3119383. Redfin Corporation. Renaissance - 2-car garage, central AC too! Close to shopping, Boulder. MLS#2257330. RE/MAX TRADITIONS. Maintenance-free Living W/ Easy Access To Ute Highway & Shopping. MLS#9175924. RE/MAX Professionals. Within the community of Sienna Park, residents will enjoy a park with playground, walking trails and basketball court. MLS#3214148. LGI Homes - Colorado. Old Towne Longmont - Prime location overlooking park area**Lots of natural light**New interior paint & carpet**New water heater**All kitchen appliances included**1/2 bath main level**Master bedroom with adjoining 3/4 bath,large walk-in closet+access to balcony area**Second bedroom w/full bath**Loft area for office**Upstairs laundry room**Unfinished basement**Attached garage**Enclosed patio area for outdoor entertaining**Convenient south Longmont location with easy access to Boulder/Denver**Easy lifestyle**Must See* MLS#9112824. RE/MAX TRADITIONS. Within the community of Sienna Park, residents will enjoy a park with playground, walking trails and basketball court. MLS#6826775. LGI Homes - Colorado. Within the community of Sienna Park, residents will enjoy a park with playground, walking trails and basketball court. MLS#1827961. LGI Homes - Colorado. Within the community of Sienna Park, residents will enjoy a park with playground, walking trails and basketball court. MLS#9663289. LGI Homes - Colorado. Keep your beautiful home energy efficient with whirlpool appliances. MLS#3417244. LGI Homes - Colorado. Old Towne Longmont - Home Warranty included! Come call this place HOME MLS#7957500. RE/MAX ALLIANCE. Close proximity to Union reservoir and it's only 18 miles to the Laughing Goat. MLS#8479569. RE/MAX of Boulder. Mill Village - Great unit, well kept and well-loved just waiting for you to call it home. MLS#1895882. Five Four Real Estate, LLC. Get your offers in! This one will not last. MLS#2416877. HomeSmart Cherry Creek. This home is within walking distance to the Longmont Rec Center, Museum and bus line! Won't last long. MLS#9680112. Coldwell Banker Residential 14. Old Towne Longmont - Information on Affordable Housing is in supplements - be sure to check those out. MLS#9423953. HomeSmart Cherry Creek Properties. Fox Meadow - Longmont's Next Light high-speed internet ready! MLS#4162763. Keller Williams 1st Realty. Old Towne Longmont - Come check out other features including: Covered Deck, Unfinished Basement Storage Space and a 2 Car Attached Garage. MLS#8585972. WK Real Estate. Old Towne Longmont - Leave Exterior Maintenance behind at this up and coming neighborhood. Move In July 2019. MLS#6084497. WK Real Estate. Pinnacle - Enjoy low maintenance living with million-dollar views! MLS#2823951. RE/MAX ALLIANCE. Within the community of Sienna Park, residents will enjoy a park with playground, walking trails and basketball court. MLS#2198608. LGI Homes - Colorado.